London is a very cosmopolitan city and like every super city, it houses a lot of carpet cleaning service providers as a lot of people decorate and furnish their home with very expensive and exquisite fabrics. London Carpet Cleaning Ltd– this company is known all over the London for its commitment towards the quality and it provides services all over the city. To handle the huge demands of their customers, they are open 24/7, even during bank holidays. As well as providing specialised service carpet cleaning services, they also provide services such as stain removal and leather conditioning and cleaning. The best part of hiring this carpet cleaning service provider is that their staff are NCCA certified so you don’t have to worry about your precious carpets. Carpet Cleaner London– This is one of the finest and oldest London carpet cleaner service providers in London. They have been in the business for over 50 years and have a great reputation so their customers can completely trust them with expensive and delicate carpets. They have large specialised machines that are portable so they can travel to you to remove tough stains and offer discounts for customer loyalty. Miss Maid Ltd– They provide a call-in service and come to your home at a time that suits you. They are equipped with the latest steam dry-cleaning machinery and also have a number of non-toxic cleaning products. 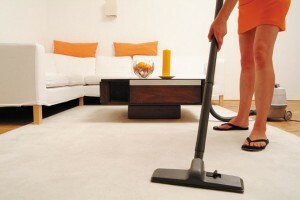 They also provide tips and ideas to keep your carpets clean and looking new without charging extra. It is relatively cheap when compared to home cleaning. Better and deeper cleaning than home cleaning your carpets. As they don’t use water and electricity, you won’t have to bear the additional burden and increase in cost. Flushes water out of your premises. They first perform some tests to determine the nature of your carpet and then proceed with the best possible treatment to clean it. They use pre-testing techniques in order to retain the colours of carpet and avoid ruining the colours.